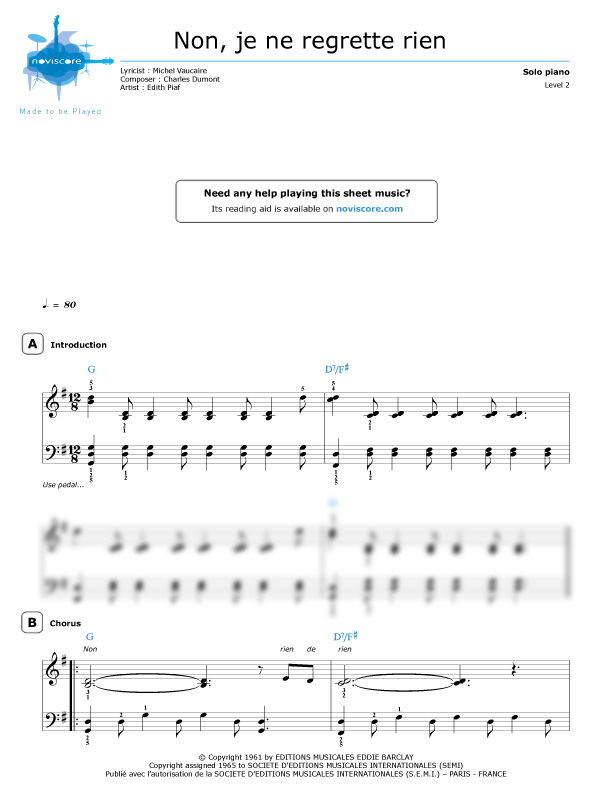 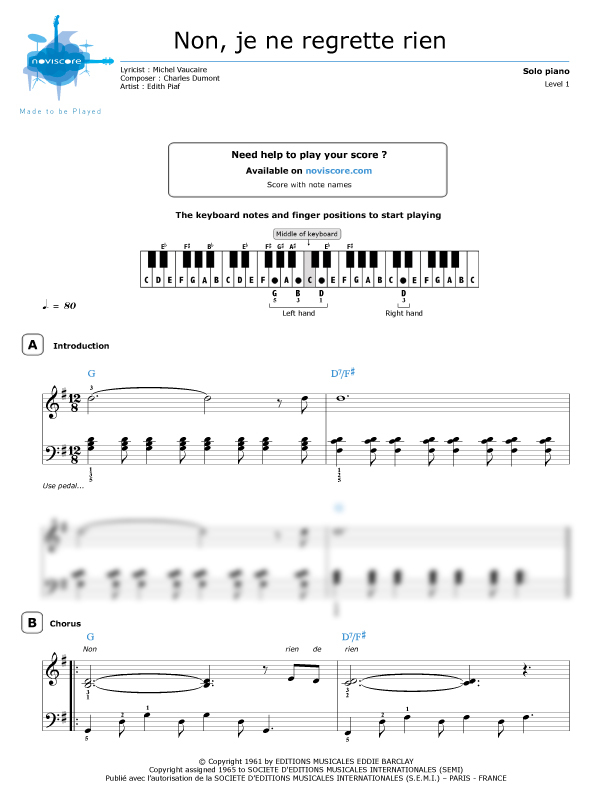 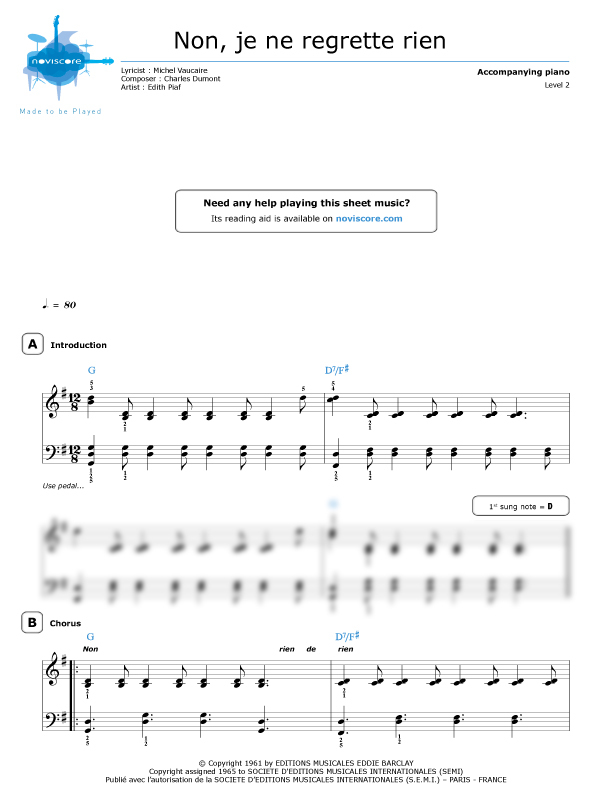 Interpret one of Edith Piaf's greatest classics with our "No, I regret nothing" piano sheet music. 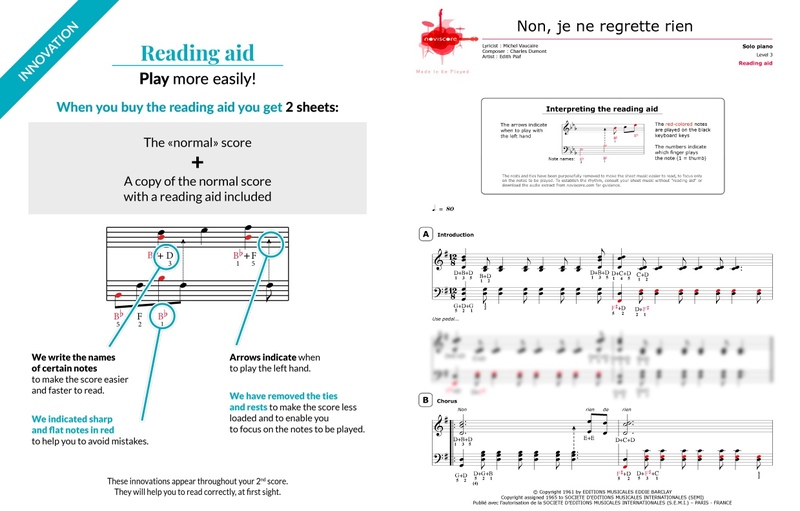 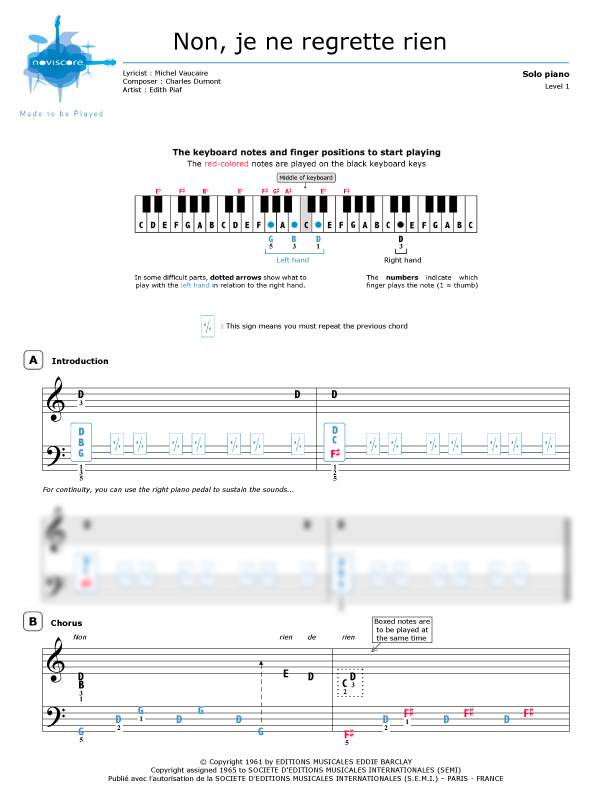 For piano solo or piano accompaniment and for several different skill levels, you are bound to find the right sheet music for your playing ability. 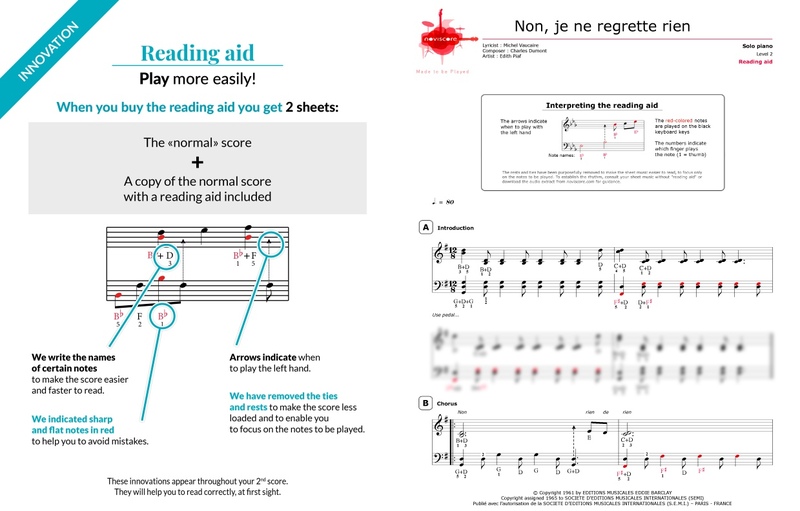 "No, I regret nothing" is a French song (Non, je ne regrette rien) – typical of la variété française – written by Michel Vaucaire with lyrics by Charles Dumont in 1956. 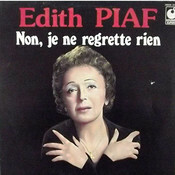 Edith Piaf sang it for the first time in 1960 and topped the French charts for a week in February 1961 and for three weeks in June of the same year. 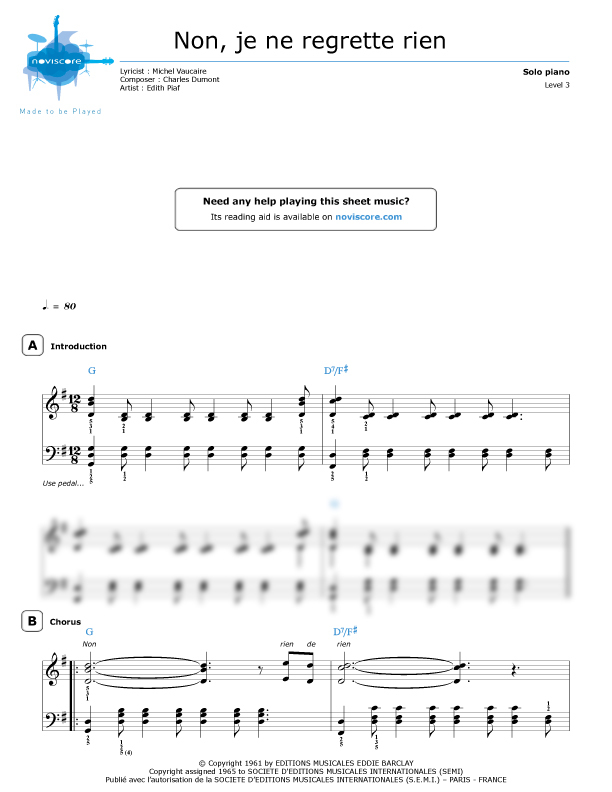 Since then, it has been taken over by other big singers of la variété française like Natasha St-Pier or Patricia Kaas, and, internationally, Shirley Bassey, Elaine Paige, Emmylou Harris, as well as featuring in numerous films.